Got your flyer last night at Heinz field. For what it’s worth, I sent the following email to jrblock@post-gazette.com. Good luck in your fight for justice. 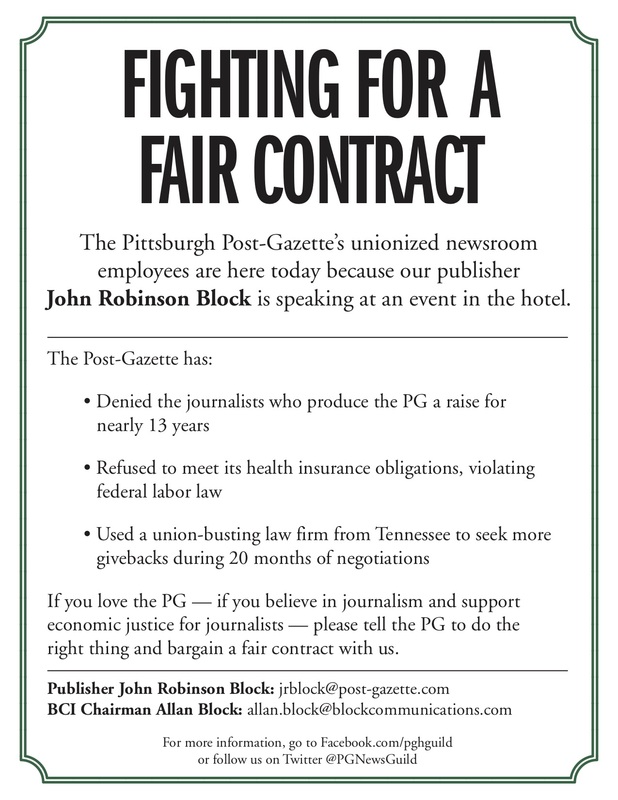 I have been a long time subscriber to the Post Gazette and previously the Pittsburgh Press. Even delivered it in the early 60’s as a newspaper boy. It’s been a fine paper over those many years. So I can’t understand how you apparently can treat your employees in the News Guild union so poorly. How is it possible they have not had a raise in almost 13 years? Also, why do you continue to fight the NLRB ruling on the health care increase? Is your Block Communications organization so destitute that it has to screw the very people you depend on for quality journalism that keeps subscribers buying your paper? 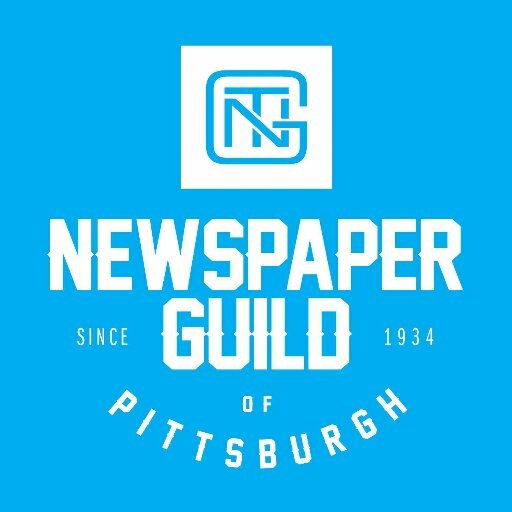 In addition, even your managing editor, Sally Stapleton, stated recently in an on line video related to the Tree of Life shooting that she was ” humbled to work with this talented Post Gazette staff”. I urge you do the right thing and commit to a fair contract that represents the value of your talented news staff.